According to the latest posting of Job (Apple Inc.) has revealed that the company is now looking to integrate the iPhone OS onto new Gadgets, devices and other platforms. Apple is now focusing to developed and bring the iPhone OS on upcoming devices to boost the architecture of iPhone OS and to leads the new technology. 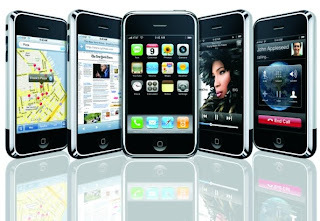 Job is now coming up with new ideas to developed the iPhone OS over gadgets and devices. According to the first two paragraph of the Job posting, which explains exactly what the company is looking for? “The Core Platform team within Apple’s Core OS organization is looking for a talented and inspired manager to lead a team focused on bring-up of iPhone OS on new platforms. The team is responsible for low level platform architecture, firmware, and core drivers and bring-up of new hardware platforms. The team consists of talented engineers with experience in hardware, firmware, IOKit drivers, security and platform architecture. It’s now almost clear that Apple wants to expand the iPhone OS and wants to integrate it with new devices and platform. But which device and platform they wants to used it still undecided now we all have to see how long will go. Does it mean that Apple is thinking to bring iPhone OS in upcoming computing and mobile technology in future.